Printing on paper cups, as we know, there are Single and Double PE Coated Paper, So printing on Pe Coated Paper can use Offset Printer or Flexo Printer. For Single Side PE Film Coated Paper, offset or flexo press are both suitable. For Double Sides PE Firl Coated Paper, Better use flexo press, Though Offset press also can be used on Double PE Coated Paper, but the speed is slow. 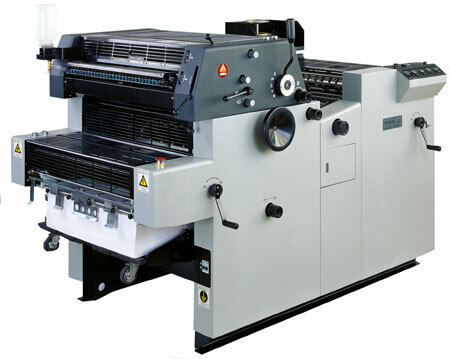 However, Offset press is much cheaper than flexo press. We haven't printing machine,if you want one from China,You can contact us or search it in the search engine: keywords "offset printer"
Or Key Words "Flexo Printer"
Or Key Words "Printing Machine"